This is my last baking project of 2013! 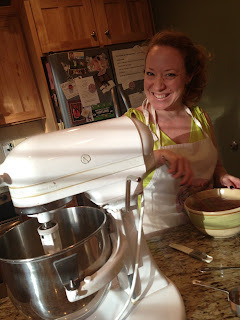 And it sort of sums up where I think my baking is headed. I think. 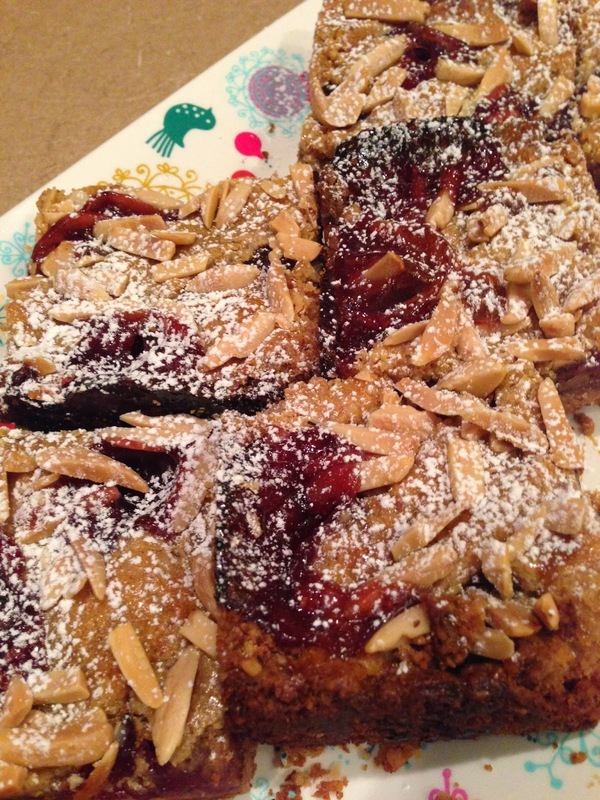 I have never tasted a Linzer Torte before now. I've had cookies that are sort of reminiscent of it (in both flavor and design), but that's the closest I've come. It has always seemed like an exotically European dessert and, it turns out, that's exactly what it tastes like. In all the best ways. Yes, the crust is a little difficult to handle. But other than that, it's a very easy recipe. And frankly, the fact that the crust behaves the way it does isn't really a big deal. By the time it's all put together and baked, you can't tell what is crust and what is filling, and whether your lattice is an honest-to-goodness lattice or a cheat (spoiler, mine was a cheat). The taste is sweet, but not too sweet. The texture is complex and nutty and crunchy. It tastes distinctly European, and I don't even know how to describe what I mean by that. Just trust me. 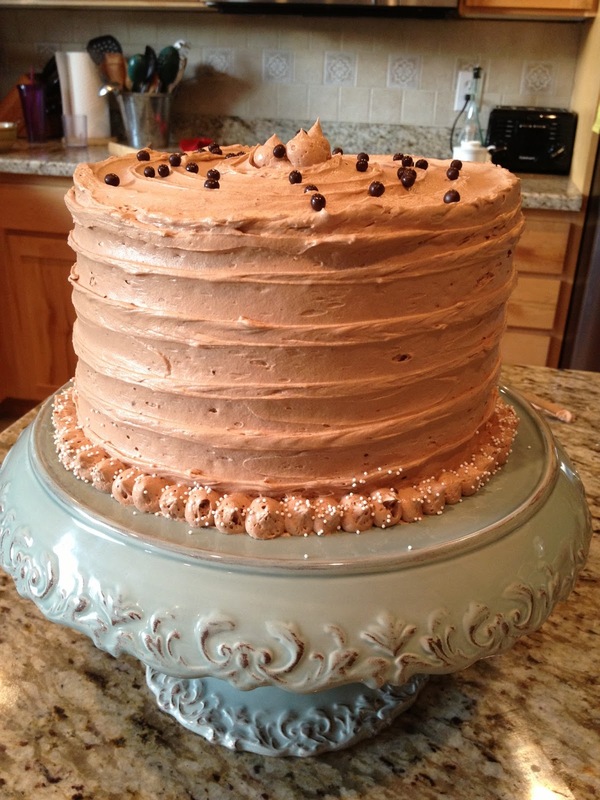 And here's why I think it's a good summation of my baking style--it's rustic. Not particularly fancy-looking. But the taste is perfect. A little tart, a little sweet, a little complex. The more I bake the more I discover that I'm just not one for fancy desserts. I think they have their place. But that place is decidedly not in my kitchen. 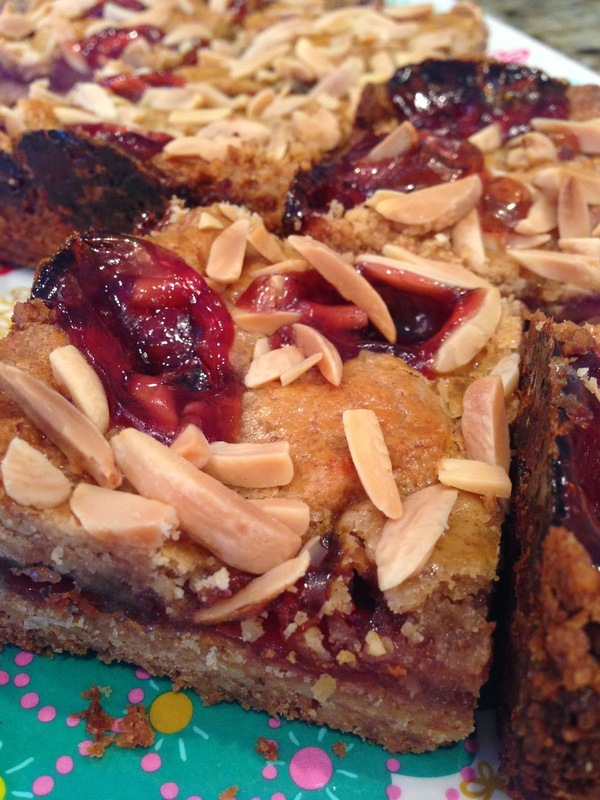 TGIP Rating--smitten kitchen's Linzer Torte--KEEPER. It might become a Christmas tradition. Festive and delightful. Next up: I feel like I didn't do much baking this year, but I'm going to do a 2013 Year-in-Review anyway. Revisit and see what stands out. P.S. 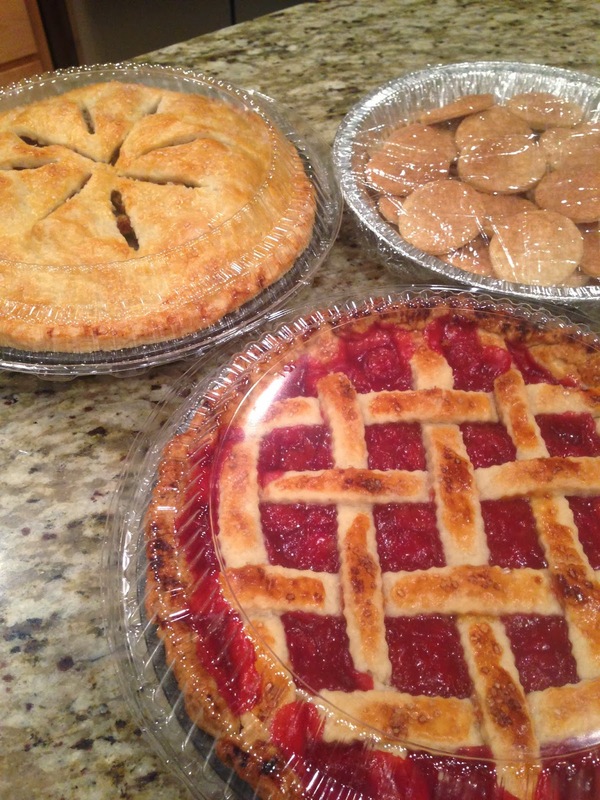 In other news, I filled my first pie order. One cherry and one apple (plus some pie dough cookies) for a dear woman I was fortunate to share the stage with this year. 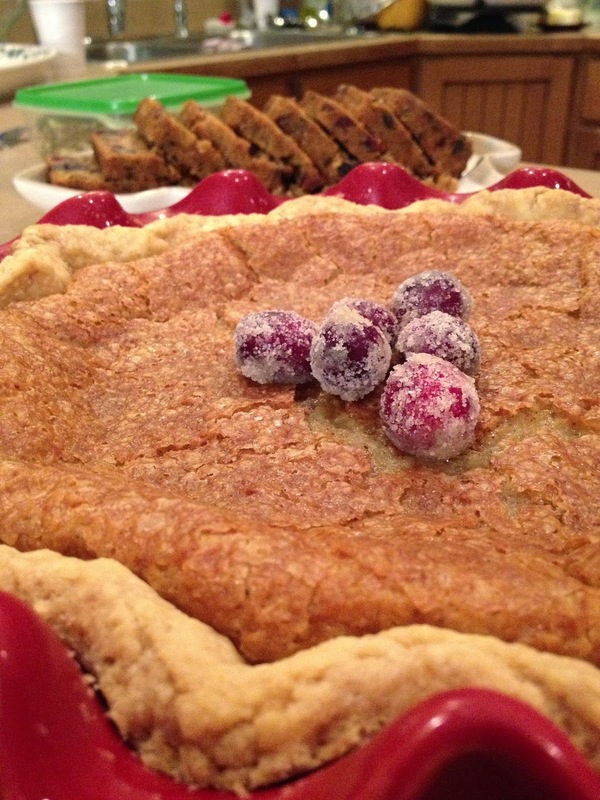 Remember how easy Buttermilk Pie was? This is the same thing. Literally. Okay, I made a couple of adjustments because of the extra sweetness of eggnog. You'll want to taste the mixture before you pour it in your pie crust, because different brands of eggnog have varying levels of sweetness. Add a little more sugar if you need to, a little more spice, a pinch of salt to punch up the flavors that are there. Do it! It's easy! And festive! Okay, this is a cheat. I forgot to take a picture. So this is from last Christmas when I made eggnog pie but it wasn't as good as I wanted it to be. Whisk ingredients together and pour into a 9 inch pie crust (I prebaked my crust and was happy with how crispy it stayed, but you don’t have to). Bake at 350 for 45 to 50 minutes. 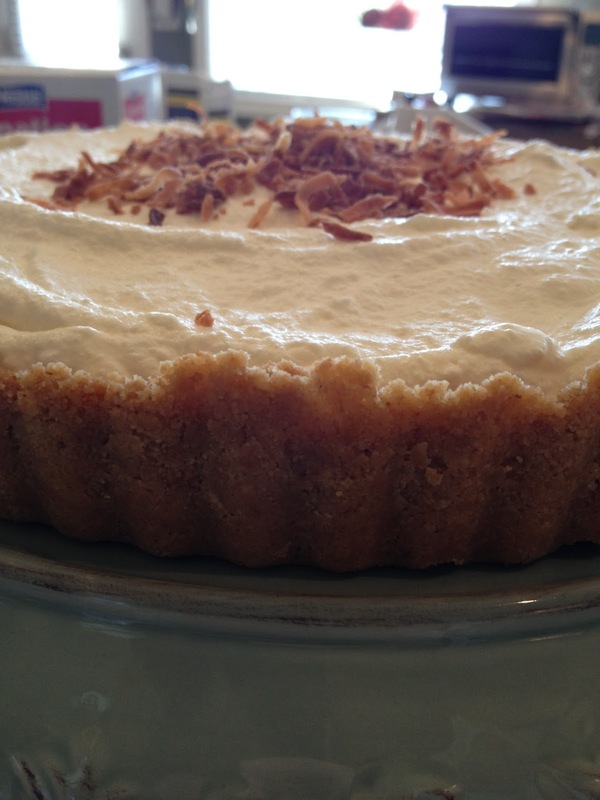 TGIP Rating--Eggnog Pie--Now that I've made adjustments (mainly in the amount of sugar), it's a KEEPER. Next up: I'm doing only the smallest amount of holiday baking this year. This. That's it. And maybe a pie order for a woman who played my mother on stage. Only for her. This cake is easy. And tasty. And moist. But not gummy like pumpkin things can sometimes be. Some of us ate it as breakfast cake. Some of us ate it as dessert cake. Some of us ate it as both. All. 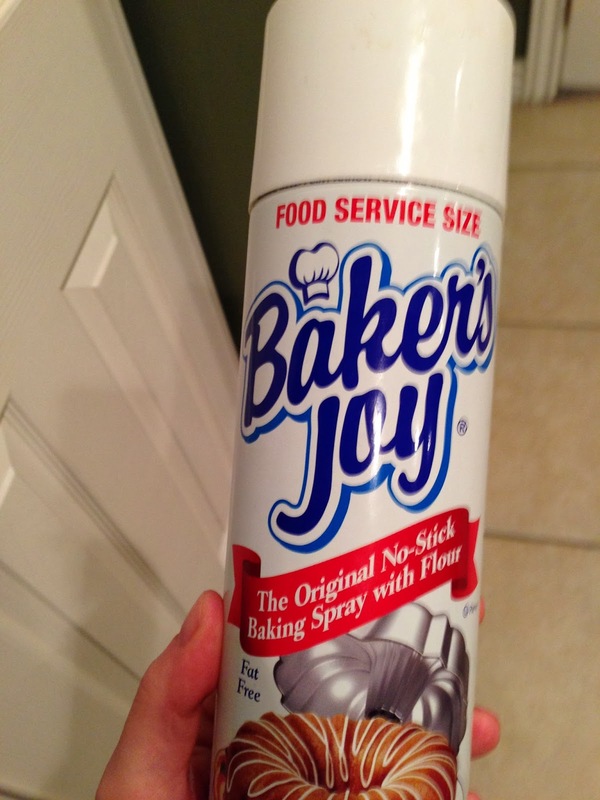 Here's what you need to know...Baker's Joy is a superior product to Wilton Cake Release (even when carefully used according to directions). I'll give the Cake Release one more chance (because, frankly, I prefer the idea of brushing pan coating on to spraying it on) to prove itself and if it doesn't play nicely then...never again. No time for cakes not coming out of pans. 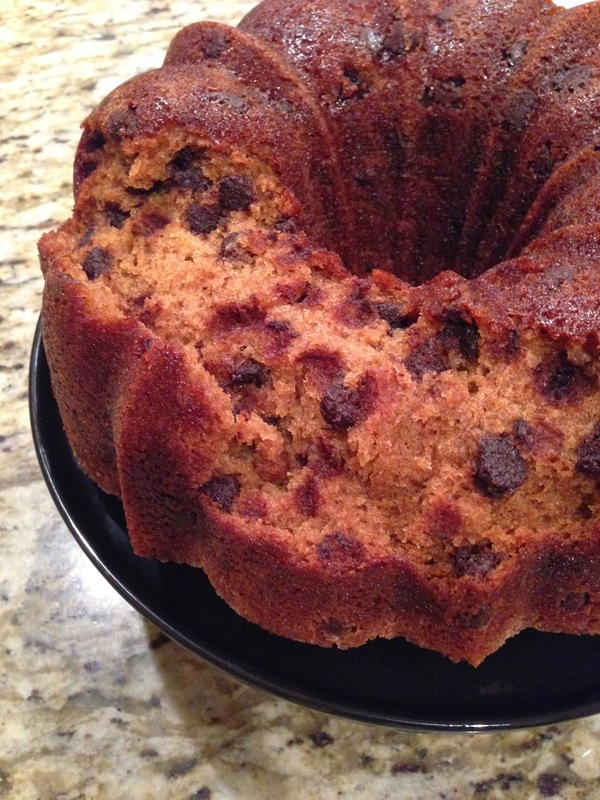 TGIP Rating--Pumpkin Chocolate Chip Bundt Cake--KEEPER. I might even try it as muffins. Perfect for breakfast, right?! Next up: It's Chocolate Adventure Contest time again! This time around it's bars. Time for me to put my thinking/inventing/baking hat on! Ideas are welcome! 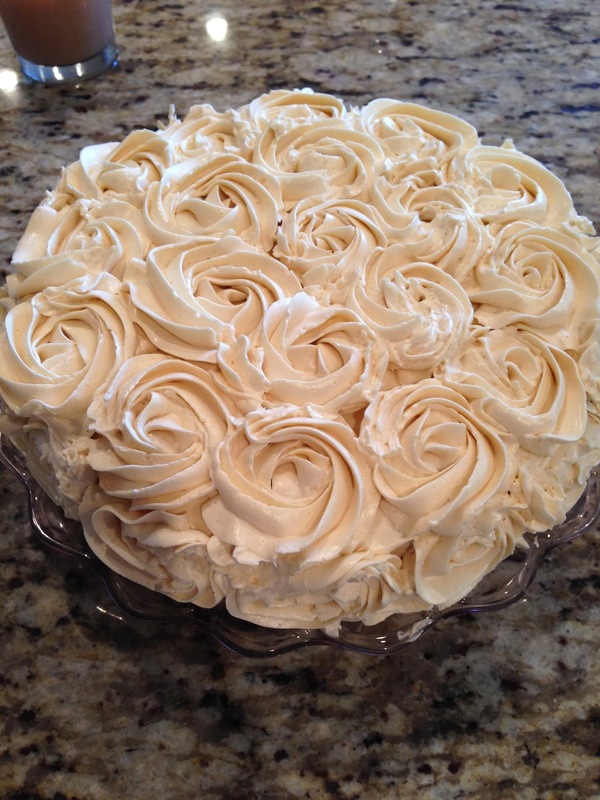 I Made a Rose Cake! So, yeah, I've wanted to learn how to properly decorate cakes forever. 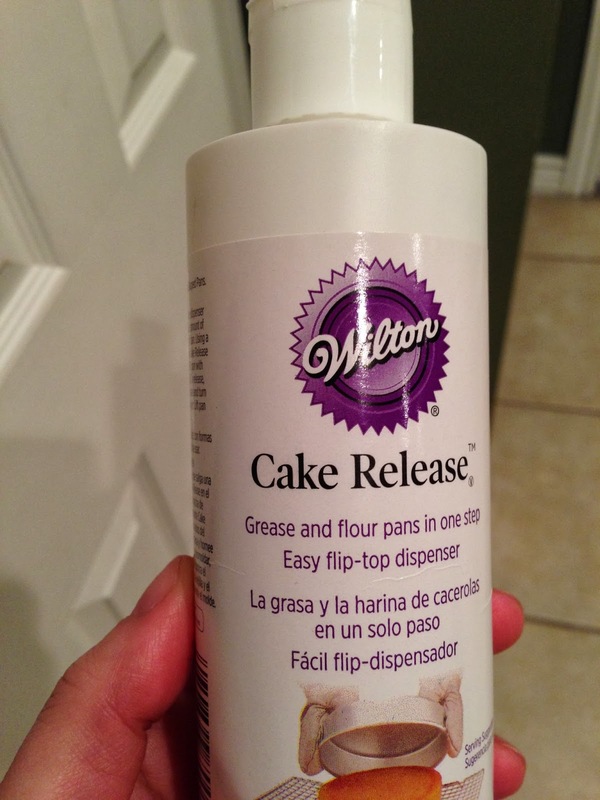 I've longingly noticed Wilton class announcements at craft stores and baking supply stores for years, and never had the time to actually take one. And there's been this other thing sort of niggling in the back of my brain--the shortening issue. I know the reason that those lovely decorated cakes look as good as they do is because the decorators have used shortening in their frosting. 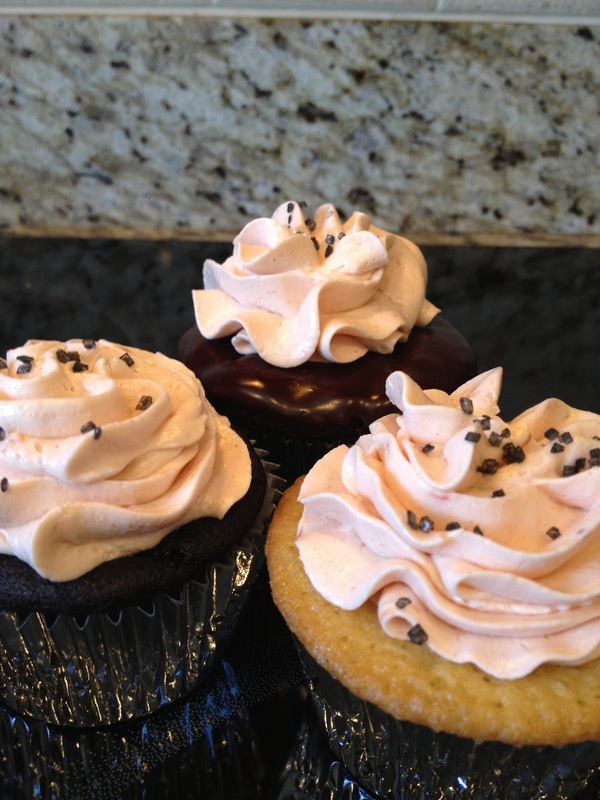 Pure buttercream tends to melt easily and even in perfect temperature conditions, just doesn't have the stiffness to get away with the things shortening frosting can. So, honestly, that information has held me back from taking a class as well--knowing that any skills I learn would be virtually useless to me because I won't make (or eat) shortening frosting. one in its natural state, beautifully creamy. I was really happy with the results. Not perfect, by any means. But I think the imperfection of it is sort of lovely. It's a lot of frosting. 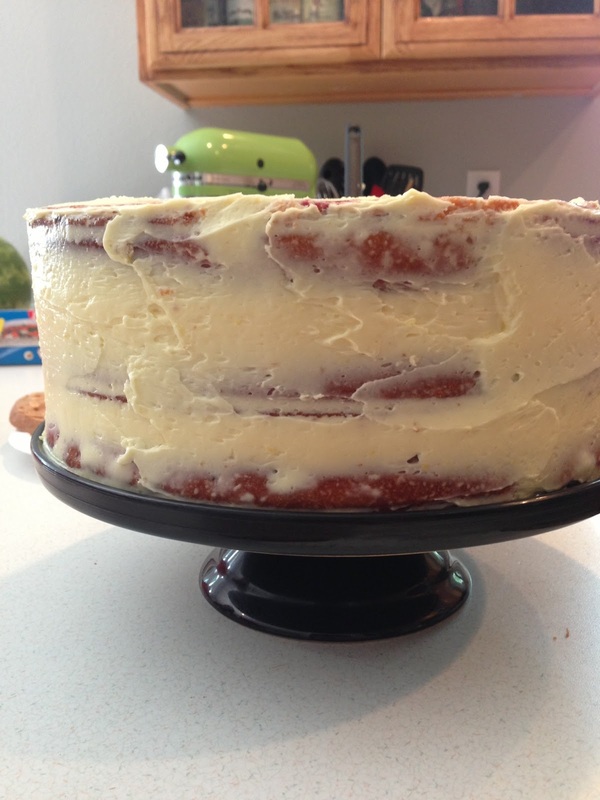 One-layer of cake with that much frosting causes imbalance in the cake/frosting ratio. Don't fret. The roses will work just fine (i.e., won't slide down into a puddle like they do in your imagination) on a two- (or more) layer cake. 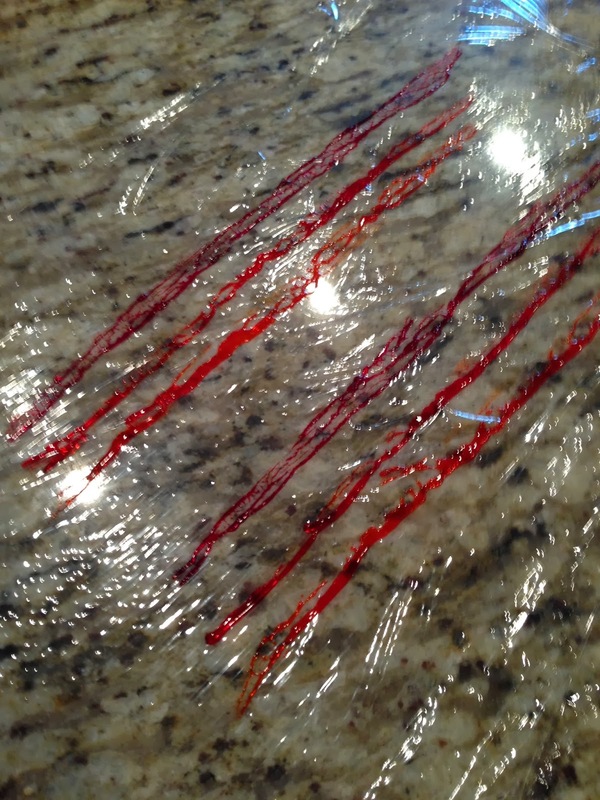 I tried the saran wrap trick for coloring my frosting. I liked the results, but it wasn't as clean and neat as the link makes it look. I like the idea, though. I think next time I just paint the colors right inside a disposable pastry bag (so as not to stain my good pastry bags). Like so. 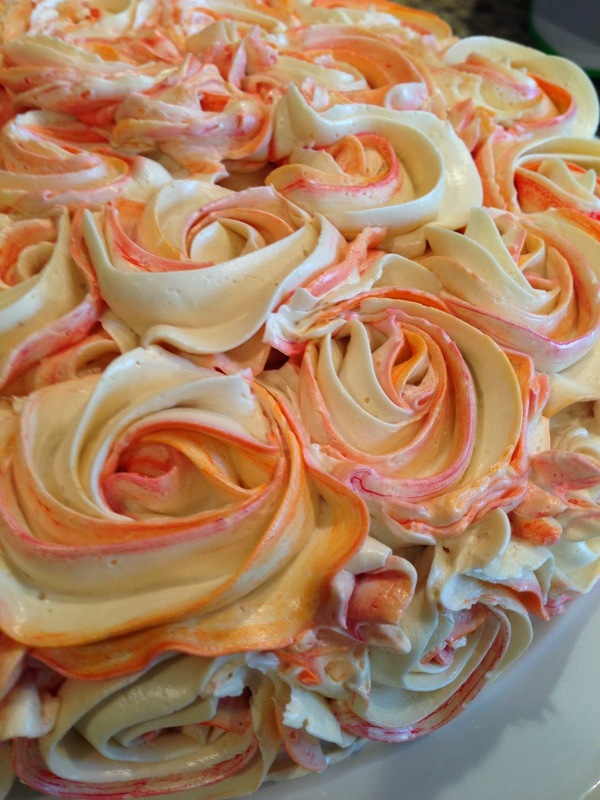 TGIP Rating--Rose Cake--KEEPER. So pretty and so many ways to vary it with color. 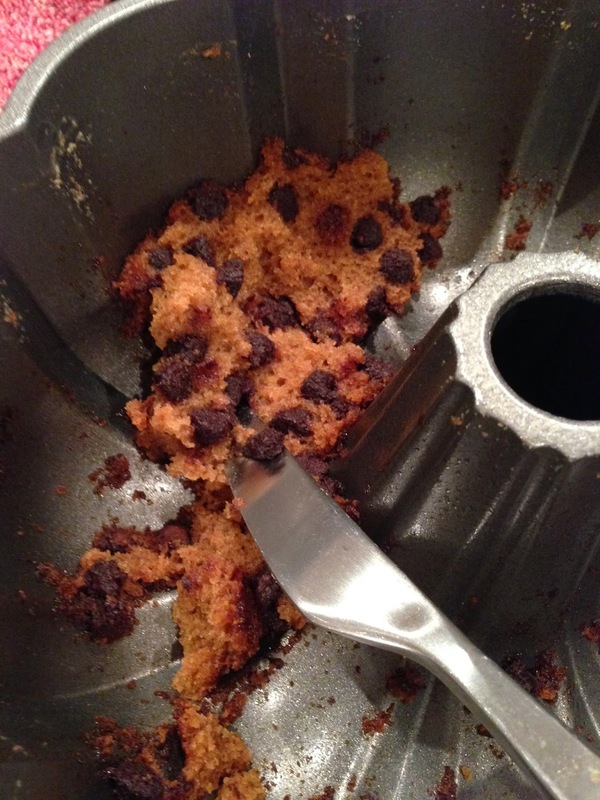 Next up: Pumpkin Chocolate Chip Bundt Cake. It's Fall, after all! This, for me, was a hot mess. Literally. So much juice. So much leakage. The crust, while delicious, was not very elastic and had a tendency to just crack as I tried to wrap it up around the filling. Which made for the worst leakage I've had with a galette. 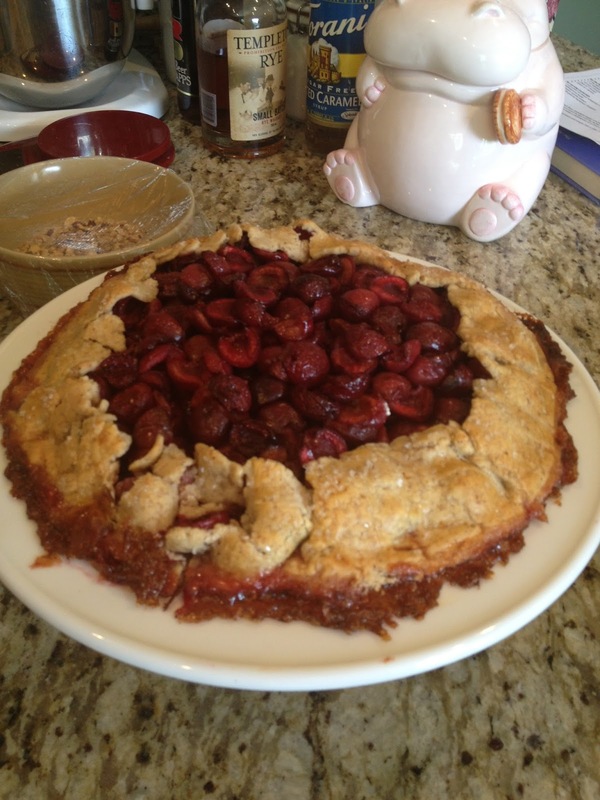 Or maybe it's just that cherries in galettes don't work. For me. And, honestly, I didn't particularly like the baked sweet cherries. I love cherries. Apparently in just about any form BUT THIS. Here's the recipe if you want to give it a try yourself. 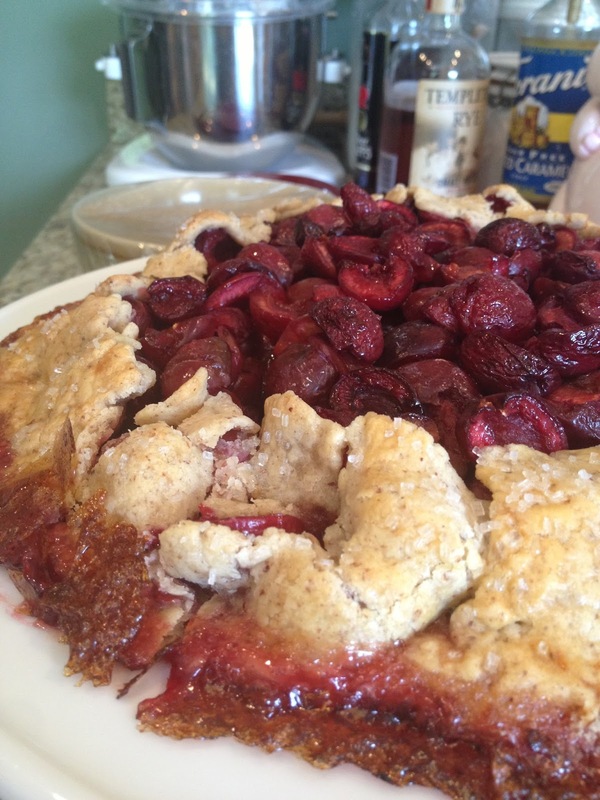 TGIP Rating--Sweet Cherry and Hazelnut Galette--PARTIAL LOSER. The crust is really delicious, but I think I'd like to try it with some other filling. 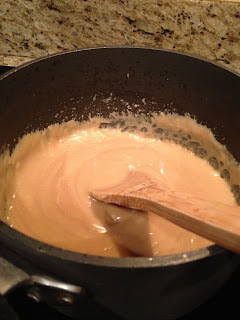 Possibly even use it as a tart dough that can be pressed into a pan and filled with, I don't know, caramel and nutella? Just spitballing over here. Next up: My friend's sweet Mom is going to teach me how to make frosting roses. I've been wanting to learn FOR YEARS. I used to pore over The Pie Queen's Wilton cake decorating book coveting both the cakes and the skill to decorate cakes like that. I can't wait. I have a lot of things in my kitchen. Remember this? BUT I have a few favorites. Only a few. One of which has just recently become part of my kitchen after decades of being part of The Pie Queen's kitchen. This pink glass cake stand. It's so simple and perfect. Understated, but elegant. If I remember correctly, it was the only "fancy" cake stand we had when I was growing up, so it was used for all special occasions, but especially for birthday cakes. In the early eighties, The Pie Queen sold quite a few other pieces of pink glass kitchenware she had (sadface), but this one stayed. And she passed it over to me on my birthday. I love it. I have always wanted a set of my own. And after years of periodic searches I finally found a practically new set in its original box on etsy. I love them. Last but not least, this guy (girl?). When I was in college, there was a little shop on the corner of College Avenue and Russell Street called Sweet Dreams (amazingly, more than 20 years later, it's still there). Just a little candy and stuff shop. I used to love to wander in there and window shop. This guy was literally in the window for months and every day that I walked past I would wish he was in my kitchen. One day (must have had a good shift waiting tables the night before) I just decided to take the plunge and buy him. And he was a fixture in a long string of apartments and houses. He's been in my cupboard since we moved to our current home because there isn't always room on my counter. But I think it's time for him to be a regular counter-sitter again. I love him. Turned 44 (not ashamed to admit my age). Made my own birthday cakeS (it's okay) (no, really, I WANTED to) (in fact, I might do it every year from now on). I made this one and this one. 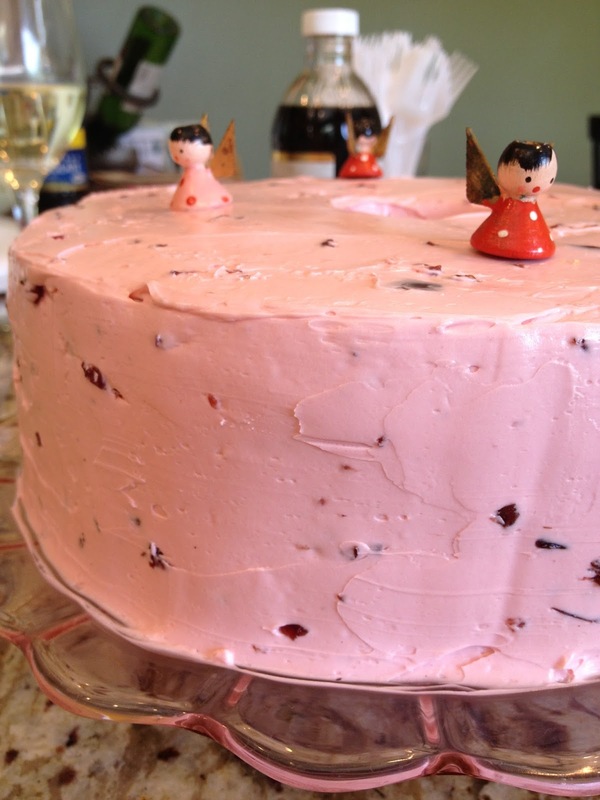 I frosted the Angel Food with this buttercream recipe (which I LOVE) and added to it a little more than a cup of chopped fresh cherries and about 1/2 tsp cherry extract. The Campfire Delight I made because I thought the marshmallow filling sounded incredible. Which it is. 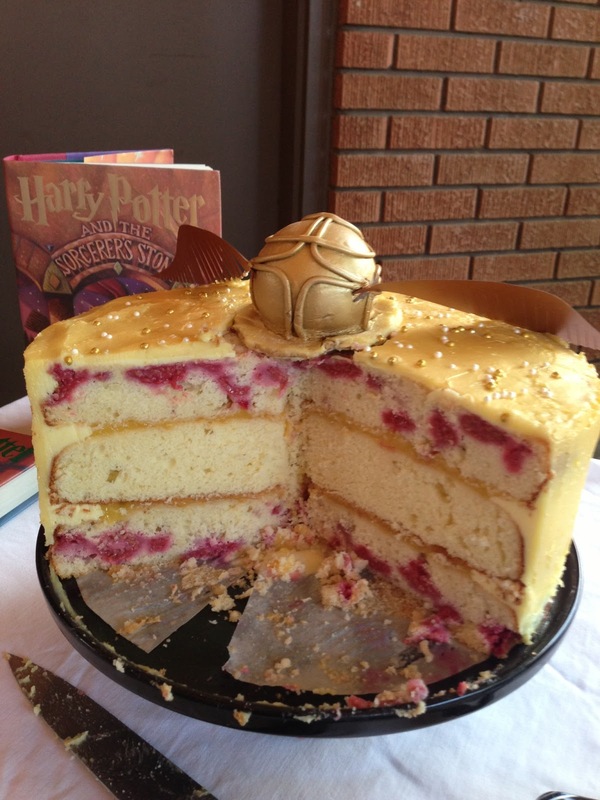 I was also really surprised and pleased with the cake. It stayed moist, even though it spent a couple of days in my fridge waiting to be finished. And it didn't sink. It didn't puff up either, which I guess is something I aspire to because then I know I could lop off the top and have completely even layers. But let's face it--I will probably never have perfectly even layers. Just not in my wheel-house apparently. I'm also just now noticing that Sweetpolita only used the marshmallow filling for three of the filling layers, instead of all 5 like I did. That would also explain the amount of chocolate frosting I had leftover. Will fix that NEXT TIME. I will also weigh my fillings so I know I'm using the same amount between each layer because (look above again) that's pretty uneven. Nevertheless, this was unbelievably delicious. Rich, but not too rich. Textured. The toasted marshmallows left some crunchy bits in the filling that I thought were really lovely. Complex. The malted chocolate frosting is SO GOOD. So good. mr. says it's the best cake I've ever made and he's not even much of a marshmallow fan. So, yes, there will be a NEXT TIME. 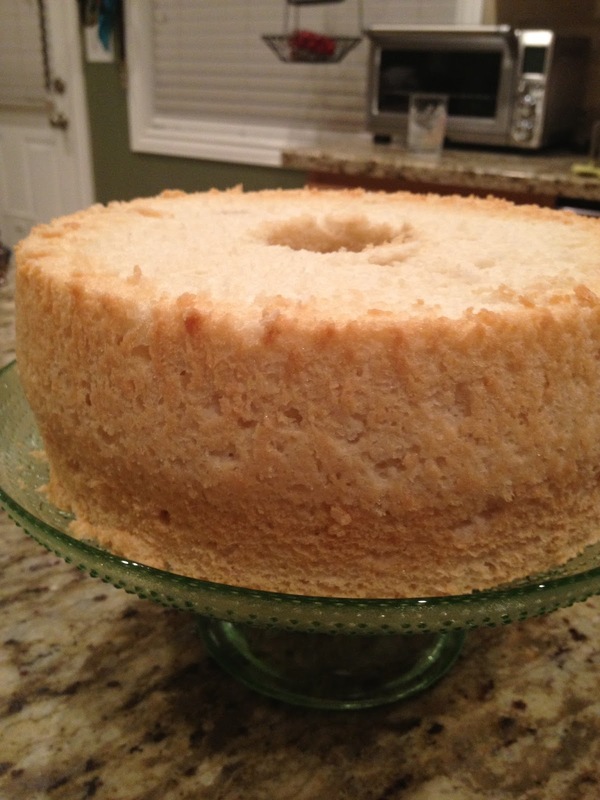 The Angel Food cake I made because it was always my cake of choice when I was a kid. With cherry frosting. The last time I made Angel Food it didn't turn out as nicely as I'd hoped. So, when a food blogger who lives in my area code posted a recipe I thought maybe she had found the secret to Angel Food At Altitude, and I figured her recipe would be worth trying. It was. See? Just right. Light and fluffy. Not spongy in that bouncy way that Angel Food cake sometimes is. And with the cherry frosting it tasted pretty much exactly like the cake from my childhood. As it turns out though, my tastes have changed. The false and oversweet cherry flavor from the extract was...not pleasant. Somehow not the kind of cherry flavor that I wanted to taste. It was still a delicious combination of cake and frosting, but probably not one I'll make again. 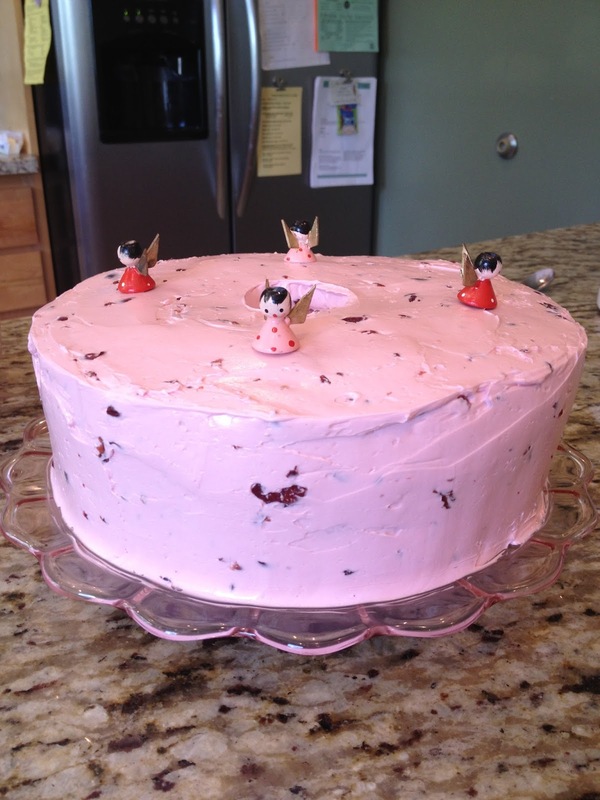 The cherry buttercream, however, THAT I know I can improve on and use in other ways. I'm going to start by making my own cherry extract. This picture contains some of my favorite things in the world. More on that in another post. TGIP Rating: Campfire Delight Cake--KEEPER. Next time I'll pay attention and do the fillings right. 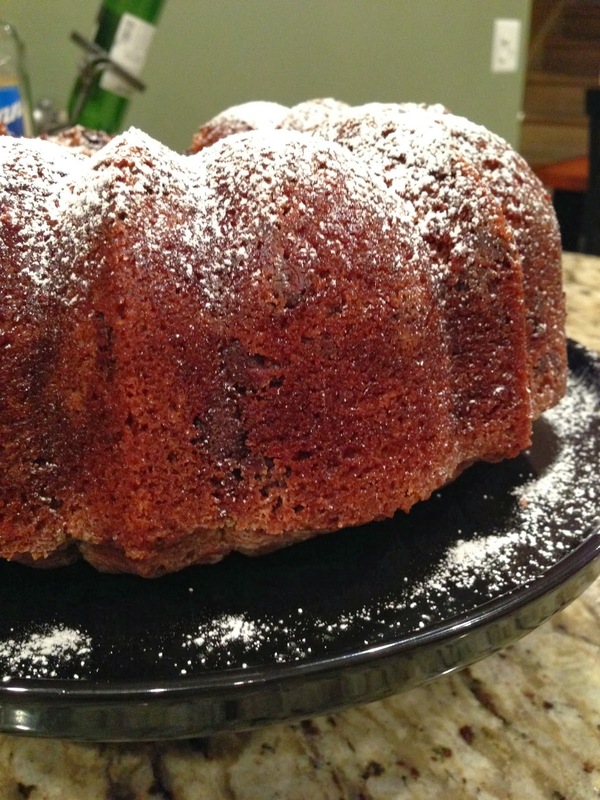 Angel Food Cake--KEEPER. It's perfect. Cherry Buttercream--TO BE IMPROVED. I know just how. Next up: More cherries. This time in a more rustic but still summery application. 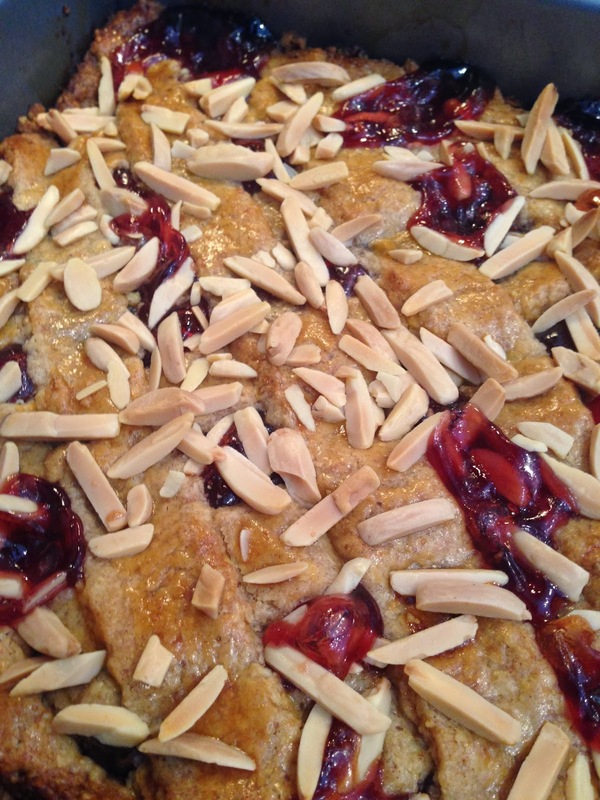 Sweet Cherry and Hazelnut Galette. This beautiful thing is, unfortunately, not my handiwork. I made the lemon curd between the layers, but other than that, it's all the work of my best girl, Min. She used this recipe with raspberries instead of blueberries (inspired), made a couple of adjustments for altitude and...lovely. It was delicious as well as amazing looking. 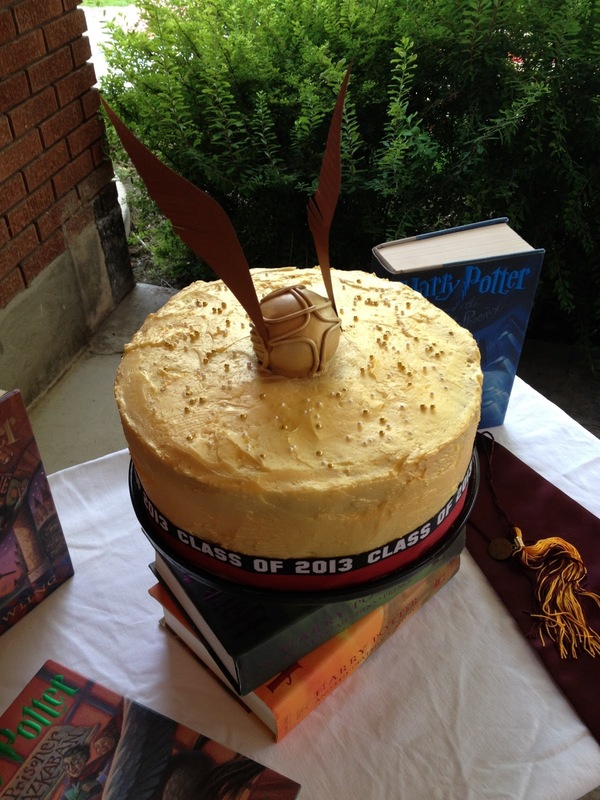 And yes, that's a Golden Snitch on top. THAT MIN MADE with her own two hands, a jawbreaker, some tootsie rolls, and edible gold spray. Look at the beautiful raspberries! Look at the beautiful crumb coat! 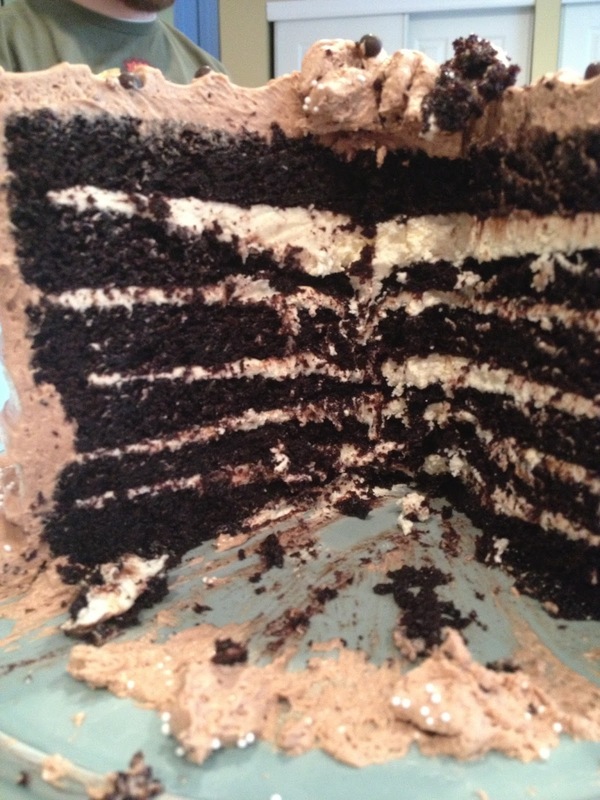 Look at the beautiful layers! 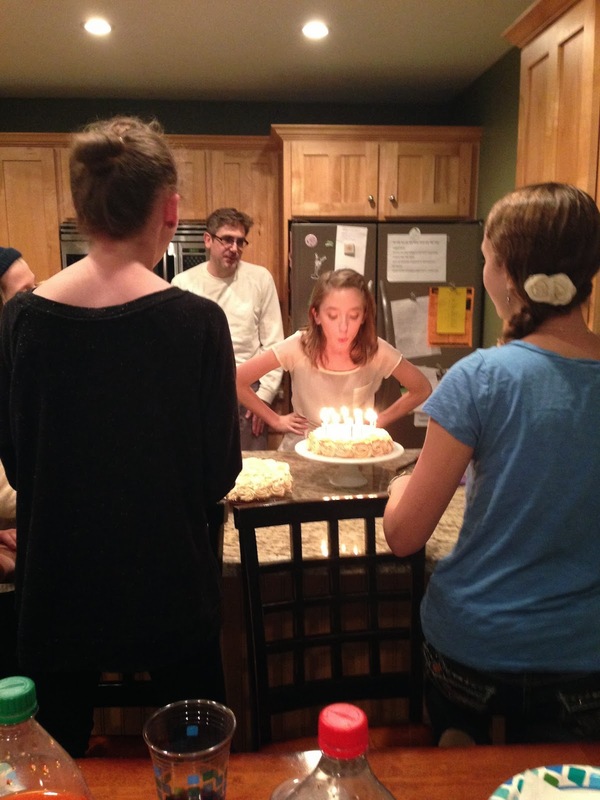 Also, this was her first completely-from-scratch layer cake. And one other thing, she pretty much made it in the middle of the night which...I just couldn't. I'm not very good at staying awake. 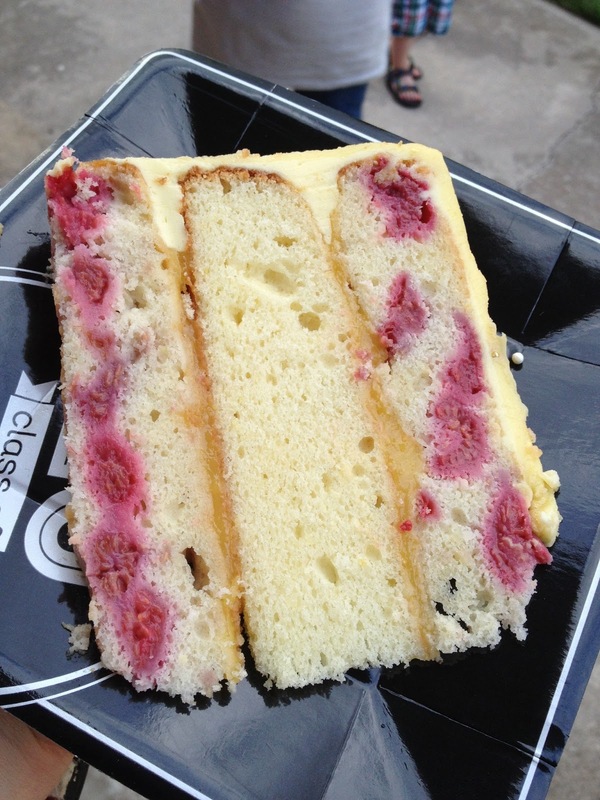 TGIP Rating--Triple-lemon Raspberry Layer Cake--KEEPER. Or, I should say TRYER, I need to try it myself because Min's was perfect. Next up: Change of plans, Mystery Cake will have to wait until sometime in the Fall, I think. 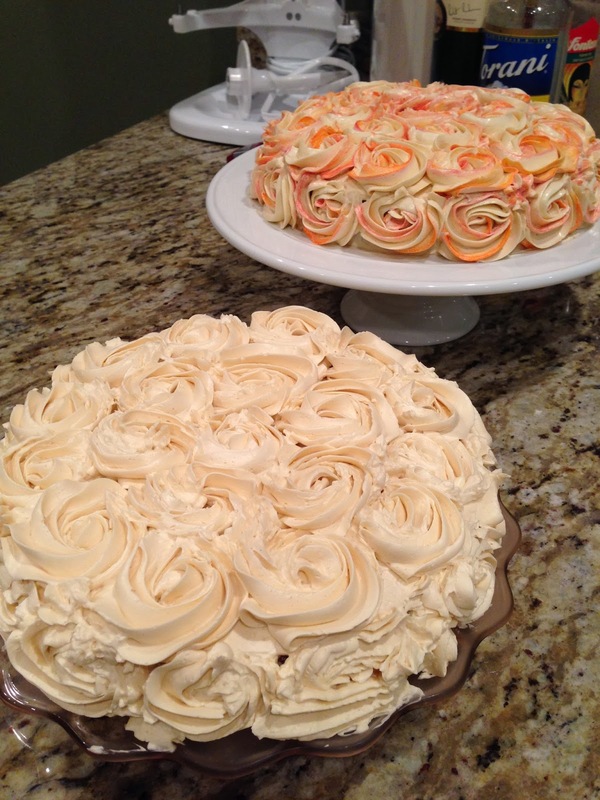 My birthday is this weekend and I'm making myself two, yes, 2 cakes (because I couldn't decide on just one). This one. 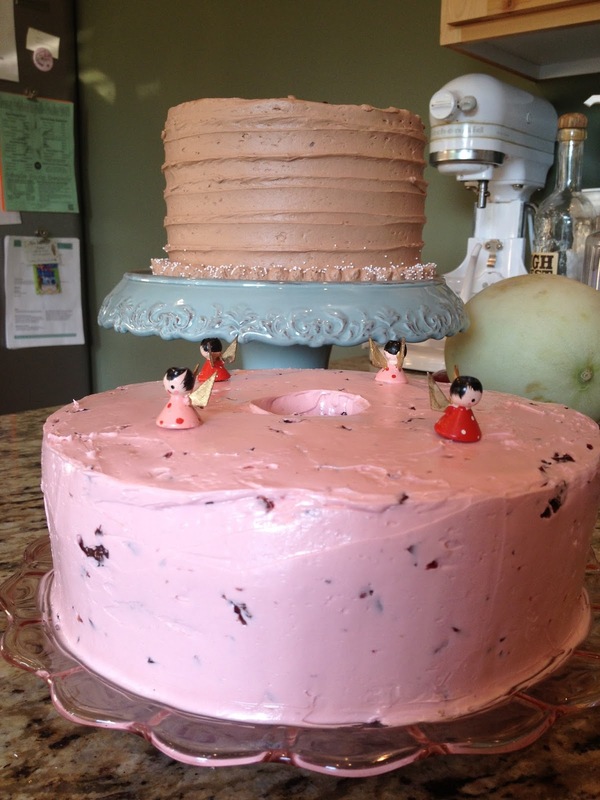 And also this one with cherry buttercream (my perennial birthday cake request up to the age of 14, when I discovered Sarno's rum cake). Were you wondering if this pie would be good with a chocolate ganache on the bottom? I thought you were. This is just a note to tell you that it is not good. It is, rather, AMAZING. Recipe is here. Go look. And then make them. Just do it. I think I probably did something wrong because my cookies ended up more crispy than soft. Also sort of shaggy looking, whereas hers are quite smooth and roundy. ANYWAY. They were still amazing. I took the liberty of toasting my marshmallows with my handy-dandy kitchen torch. Which--why wouldn't you?! 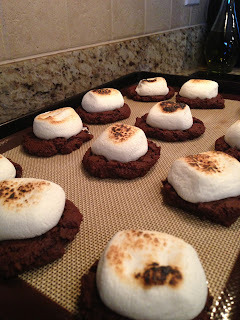 And I'm planning to make these again IF ONLY so I can figure out a way to incorporate graham crackers and make them more s'more-like. They're just so easy. And so yummy. Have you started on a batch yet? P.S. 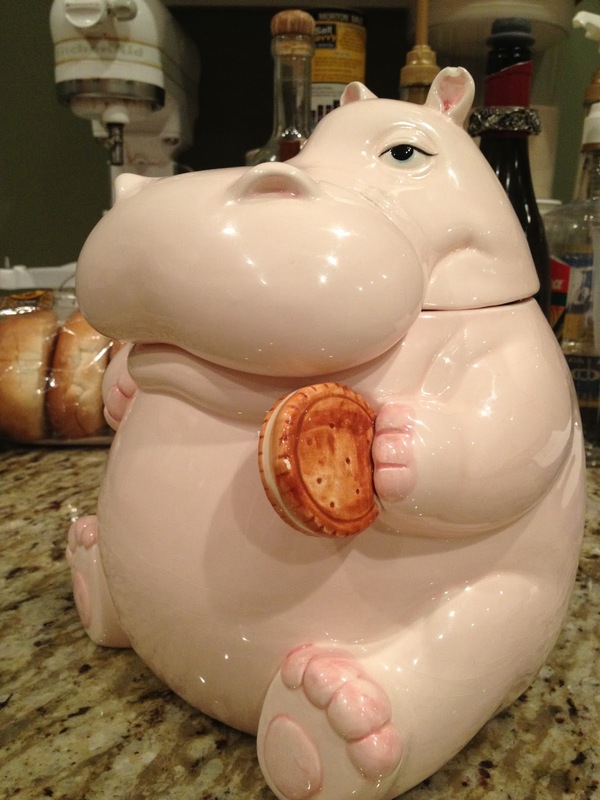 This is what I look like when I'm baking. So, one might ask, why do I not do it ALL THE TIME? I wish I knew the answer to that question. Next up: On our Baker Family (yes, I'm a Baker by blood) Facebook page, my baby sister put out a call for old family recipes. My amazing, crafty, and apparently incredibly organized Aunt Vickie (who just has these things at her fingertips!) answered by starting a new page which she is peopling with photographs of handwritten heirloom recipes from that side of the family. One of the recipes she posted is called Mystery Cake. And I'm letting it stay a mystery for now. Apparently it's a type of fruitcake with a secret ingredient. I KNOW it's the wrong time of year for a fruitcake, but this just came up and I'm DELICIOUSLY curious about it. So I'm trying it! I piped it on top of the ganache (you can see below I actually made a variety of combinations to accommodate different tastes in my family--some people don't like chocolate--I KNOW). Then I sprinkled on some black sugar BECAUSE IT'S BEAUTIFUL. Et voila. The strawberry flavor wasn't quite as strong as I wanted it to be, but I couldn't find the freezer jam I used in the strawberry portion of this recipe. Nevertheless, it was delicious. 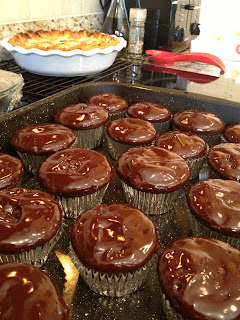 The ganache adds a decadent touch to something that is otherwise incredibly simple. The buttercream didn't react adversely to so much jam being added, it really held up nicely. And in case you ever need to know, that full recipe frosted about 60 cupcakes. 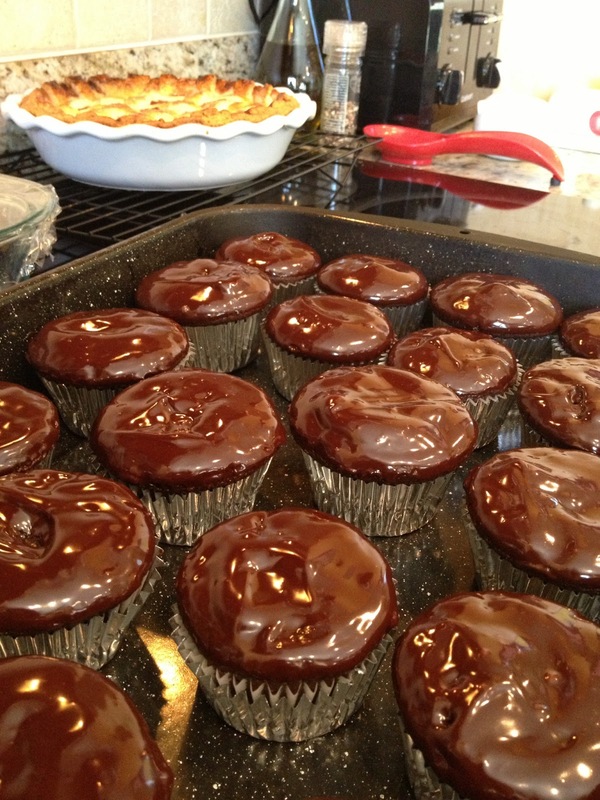 TGIP Rating--Chocolate Strawberry Cupcakes--KEEPER. I need to find that freezer jam if I'm going to do this again, though. 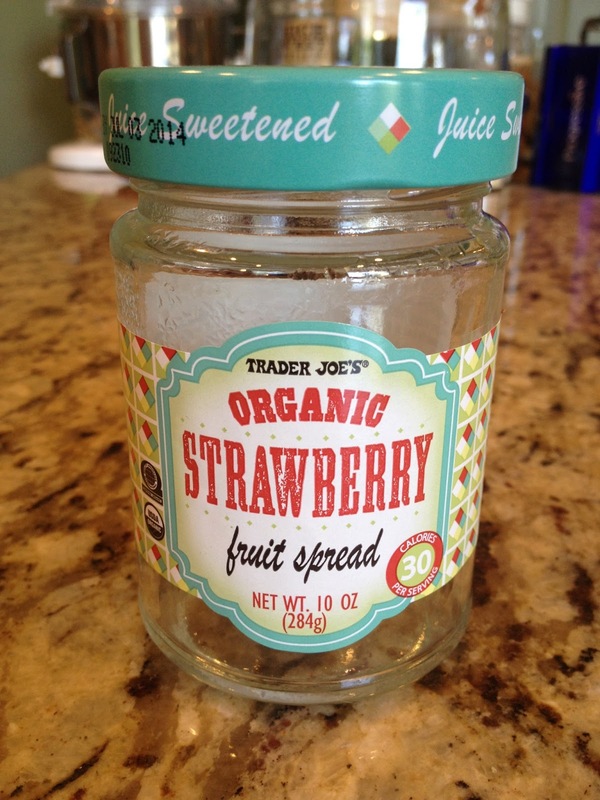 Even though the chocolate flavor isn't SUPER rich, it needs a stronger strawberry flavor to match it. Next up: Summertime. Hm. I think we need cookies in the house. 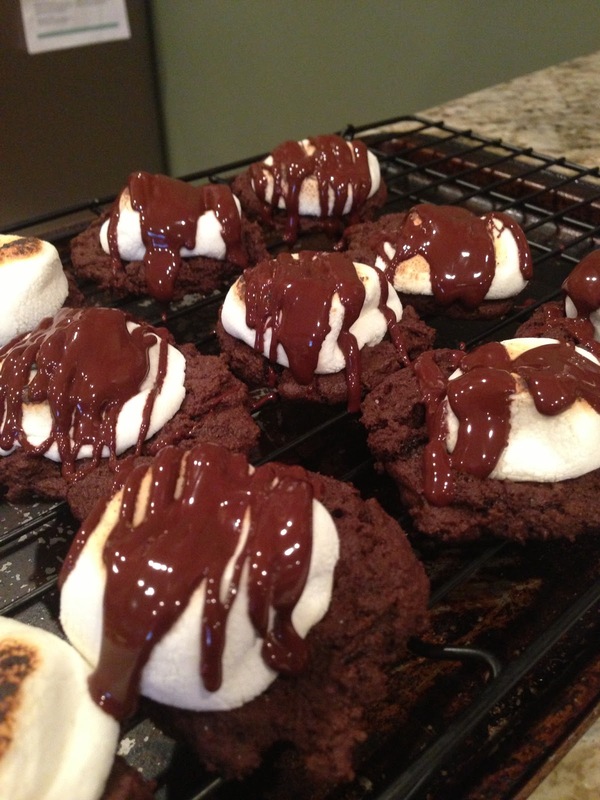 Cookies that are almost like s'mores. Like these ones. Took a visit to a lovely new bakery in downtown Salt Lake, Eva's Bakery. So many delicious breads and pastries, I'll have to make a return visit to give some things a first try, and, of course, to pick up a second round of some new favorites. 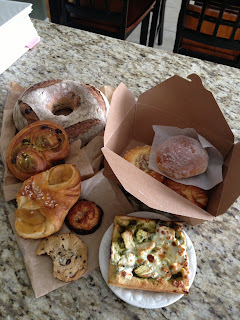 In this picture from lower left clockwise to lower right: chocolate nib cookie, coconut macaroon, apple half-pocket, pistachio snail, mountain loaf, Italian brioche, beehive brioche, kouing aman (both peeking out from under the Italian brioche), chicken pesto pizza. All of their pastry was lovely. 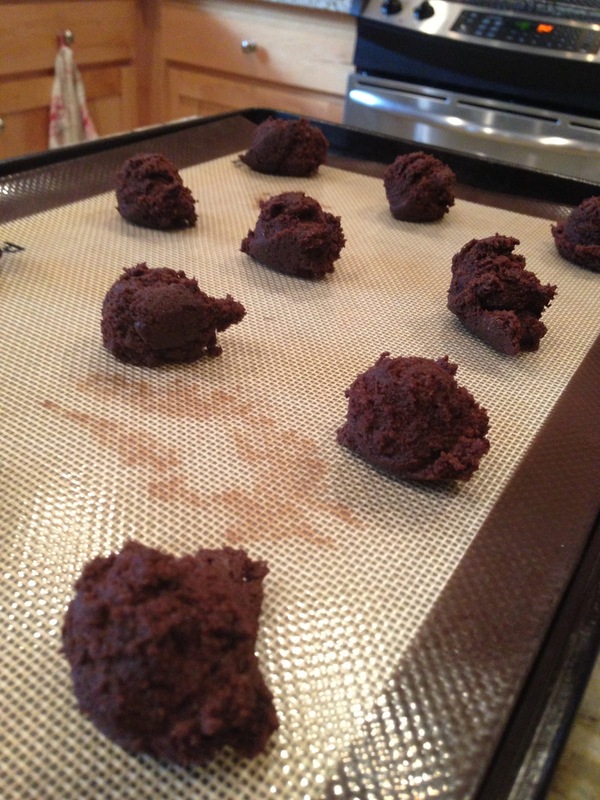 Their dough in general is tender and flaky and easily takes to different applications. the pistachio snail--has dark chocolate nibs in such a delicious combination with the pistachios. the Italian brioche--has a raspberry filling that is perfect, not too sweet, no gooey texture, you know, as if it's made from ACTUAL raspberries, which I'm sure it is. the beehive brioche--a brilliant combination of crunchy almonds, fleur de sel, and honey with a really beautiful, tender brioche dough. 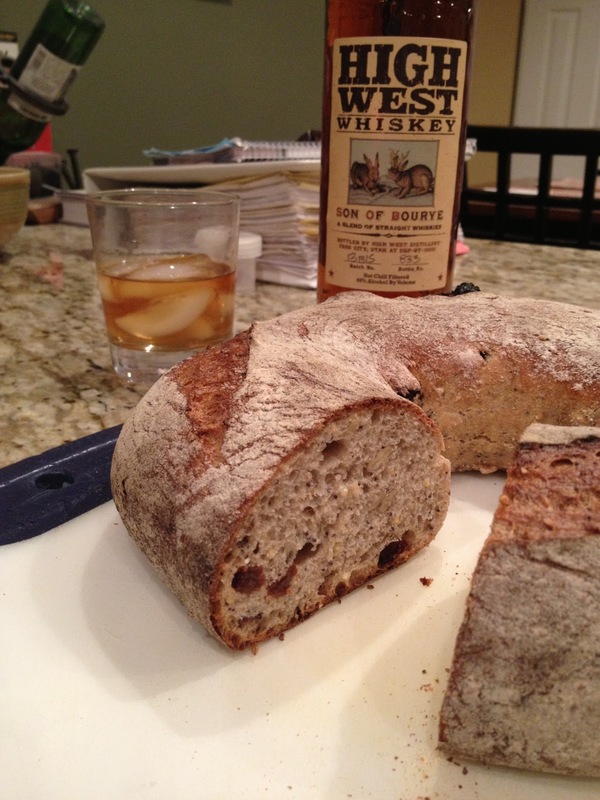 the mountain loaf--a blend of flours, including rye and whole wheat with sunflower seeds (I think) and tart dried cherries. 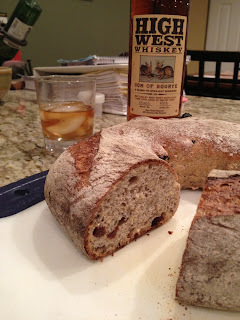 Yeah, the cherries were what got me, but even my cherry-hating mr. liked this bread. It's just a really balanced combination of flavors and textures. Hearty breakfast-y goodness. Unfortunately for Eva's, we have Les Madeleines here in town, where we all learned about Kouing Aman. Eva's suffers in the comparison on this one count. But next time I visit I'm buying every kind of bread I can get my hands on, as that appears to be their specialty. 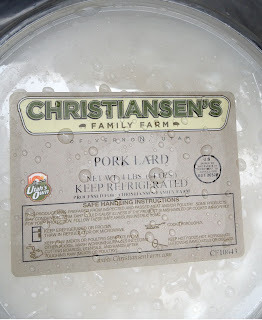 And after a first attempt at using this lard, I am thrilled to report that it is perfect. Perfect texture, dough is elastic and easy to handle. Perfect taste, adds that tiny bit of saltiness that I like for my lard to bring to the pastry party. And it bakes up beautifully as you can see above. TGIP Rating--Eva's--KEEPER. They also have a seating area and a beautiful espresso machine. One of these mornings you'll find me there enjoying a croissant and a real cappuccino. --Christiansen's Family Farm--KEEPER. Thank goodness people like this exist. In my general neighborhood. Maybe I'll make them a pie just for being awesome. Next up: I have to take a few weeks off baking. I know. Trust me, it hurts me more than it hurts you. But sometimes the theatre is a brutal taskmaster. When I'm back at it, I think I'm going to do cupcakes. Probably using some elements of this. "Arguably the UK’s favourite biscuit the McVities Digestive is famed for its sweet, wheaty taste, crumbly texture and renowned suitability for dunking. A bona fide legend in the world of biscuits. 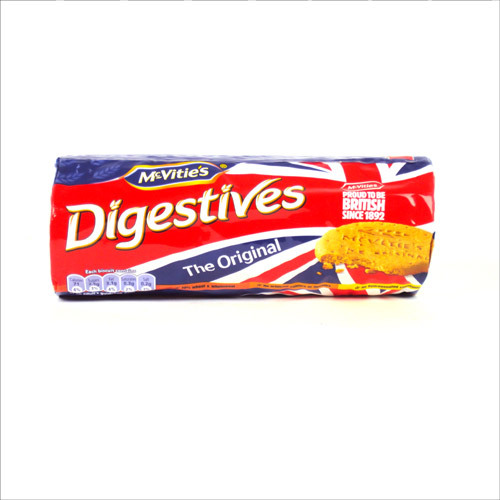 Whilst the name ‘digestive’ comes from the antacid properties that the biscuit was thought to have when it was first made, McVities Digestives no longer claim to deliver this benefit – they simply offer an unrivalled taste that is loved by millions." The name alone made my children sore afraid. Turns out, they're not that different from graham crackers. 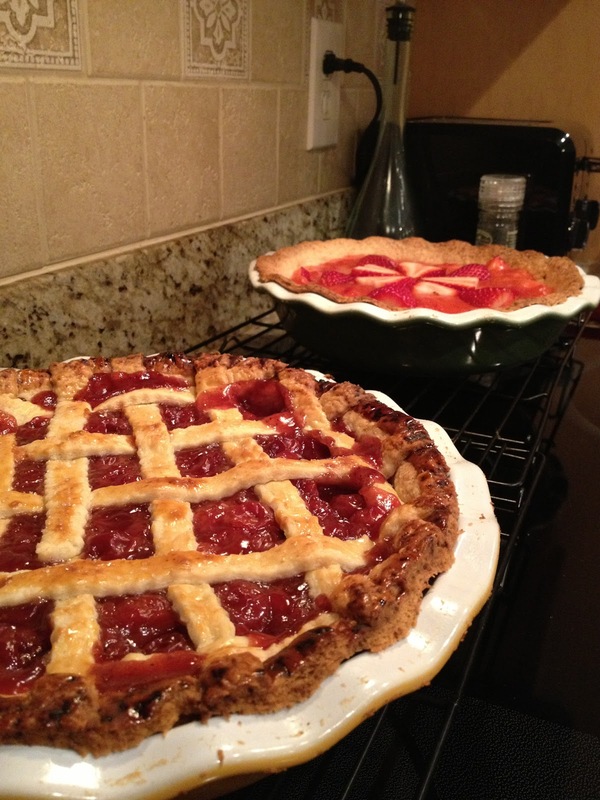 In fact, I liked them as a pie (tart) crust MORE than graham crackers. They weren't quite as sweet, which made the crust a part of the overall flavor without adding so much of its own personality. 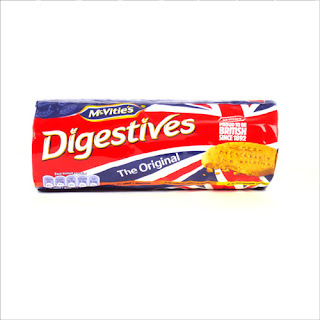 Anyway, McVitie's, if they no longer have this digestive "benefit", why not change the name? 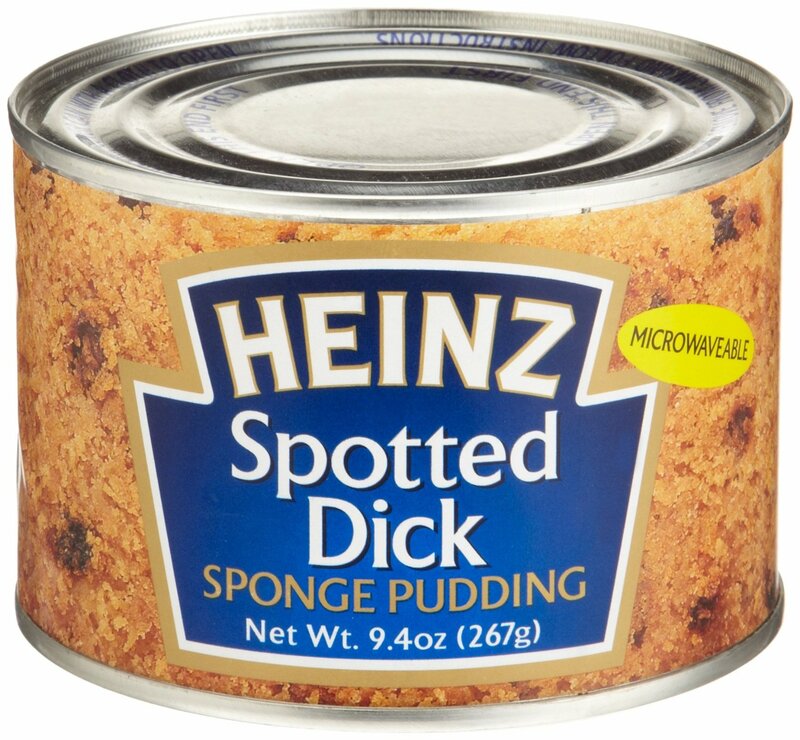 To something that sounds delicious? Sweetie-Wheaties? Dunkers? Or how about just "McVitie's"? 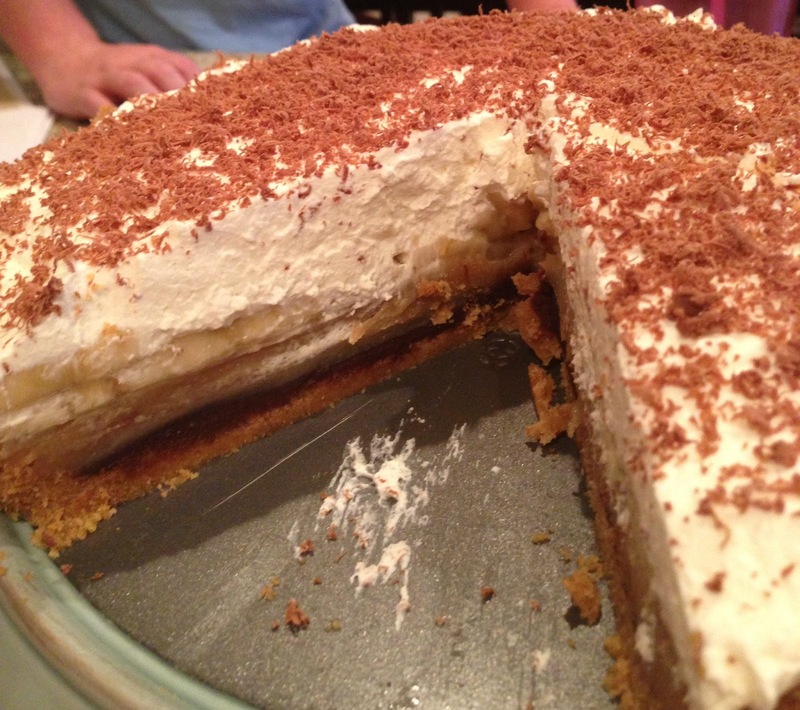 I have the same beef with "Banoffee Pie". Not a successful portmanteau, IMO. Because it's a food, and one has no idea what is in store if one orders/buys it. 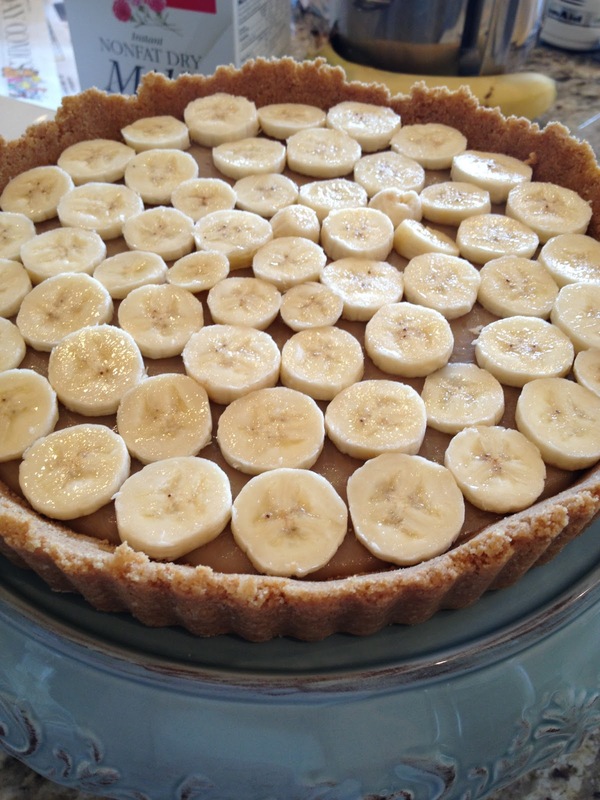 "Banana Toffee Tart"? Now, THAT sounds delicious, order me one! Or better yet, I'll make one at home! Here's the recipe I used. Everything about this was unexpected. The individual elements are just slightly odd. But they come together to make a pie (TART) that is smooth and creamy and tasty and simple and really delightful. The toffee layer could not be easier to make (and this is coming from a person who is caramel-challenged). 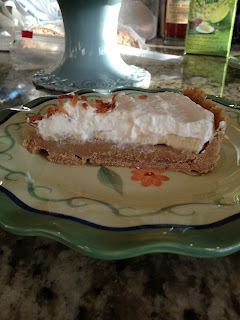 And it has the perfect consistency--just slightly gooey when you cut into the pie (TART! 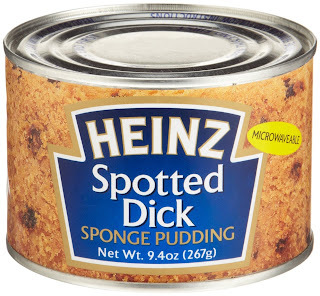 ), but soft when you fork into it and not tooth-sticky at all as you eat it. And the bananas. I mean, on the one hand it's obvious (Bananas Foster), that caramel and banana go together, but it took a stroke of genius to put them together in a pie (!TART!). I put some toasted coconut on top of mine instead of shaved chocolate, for a little extra tropical flavor, and I quite liked it. TGIP Rating--KEEPER. And as much as I thought all the elements played perfectly together, there's a part of me that wants to mess with this. Maybe give it a regular pastry crust and make it an ACTUAL PIE. Maybe make the bananas into something like bananas foster before putting them on top? Or add some rum to the whipped cream? 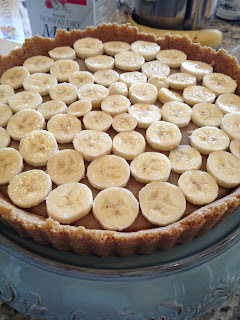 BANANAS FOSTER PIE?! Will ponder some more. Next up: A field trip. Actually two fieldtrips. To a local bakery and a local parking lot. Intriguing, right?